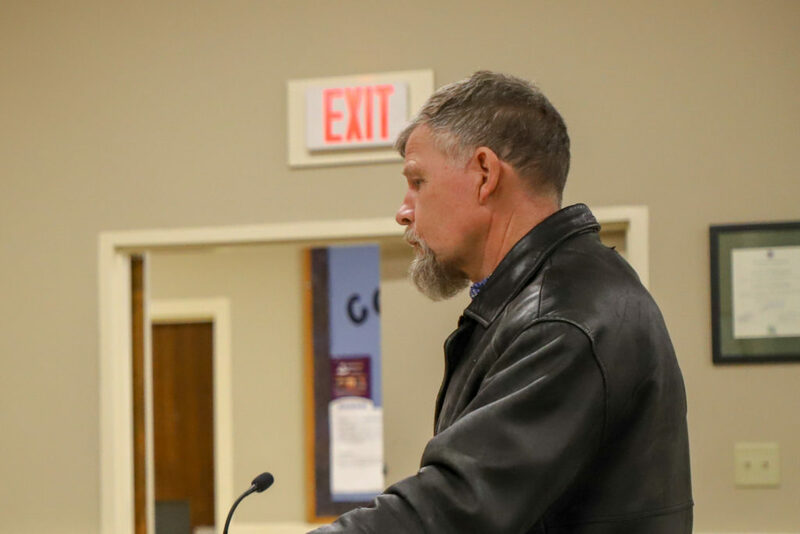 PLYMPTON — On Tuesday, Dec. 18, the Zoning Board of Appeals held a new hearing for Gene Beliveau, manager of Plymouth County Paving, LLC. Beliveau was the appellant to a May 4, 2017, cease and desist order regarding what the previous Plympton Zoning Enforcement Officer, the late Robert Karling, ruled to be a “contractor’s yard” operating at 0 Winnetuxet Road (Map 21, Lot 1, Block 24). Plymouth County Paving, LLC, which Beliveau manages, was accused of this prohibited zoning use at 0 Winnetuxet Road as it is in both the agricultural-residential and business zoning districts. Plymouth County Paving, LLC, is a provider of residential and commercial asphalt paving and maintenance services, excavation and demolition and commercial-industrial snow and ice management for properties located off-site, according to town documents.The ZBA and Beliveau reached a mutually agreeable settlement at the hearing, which Plymouth County Superior Court Judge Cornelius Moriarty, II, ordered, where Karling’s cease and desist order was upheld. But, exceptions were granted with a special permit allowing certain equipment to be kept on-site, according to the agreement. In May 2017 Karling ordered Beliveau and any person acting on the business’ behalf or in concert with it to immediately cease and desist all use of the property for a “contractor’s yard” and commercial vehicle storage, the trucking of earth, gravel and other materials to and from the property and to remove from the property all of the materials, vehicles and equipment associated with such use. On May 30, 2017, Beliveau filed an appeal with the ZBA. A public hearing opened Aug. 15, 2017, and was continued to Aug. 24, 2017, and again to Sept. 7, 2017. 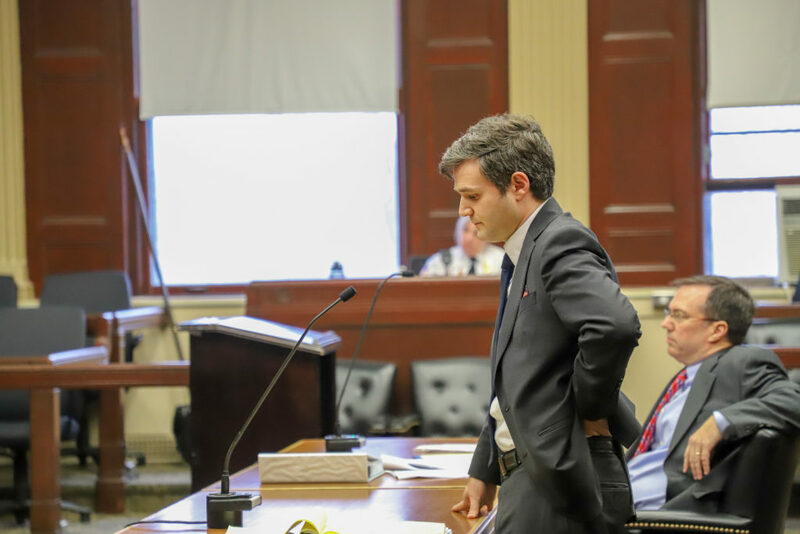 During the hearing, Beliveau, through his attorney, provided evidence and testimony, and the ZBA heard additional evidence and testimony from members of the public and Karling. The ZBA also conducted a site visit Aug. 23, 2017. In an Oct. 2, 2017, decision the ZBA voted 3-0 to affirm Karling’s cease and desist order regarding the use of the property. 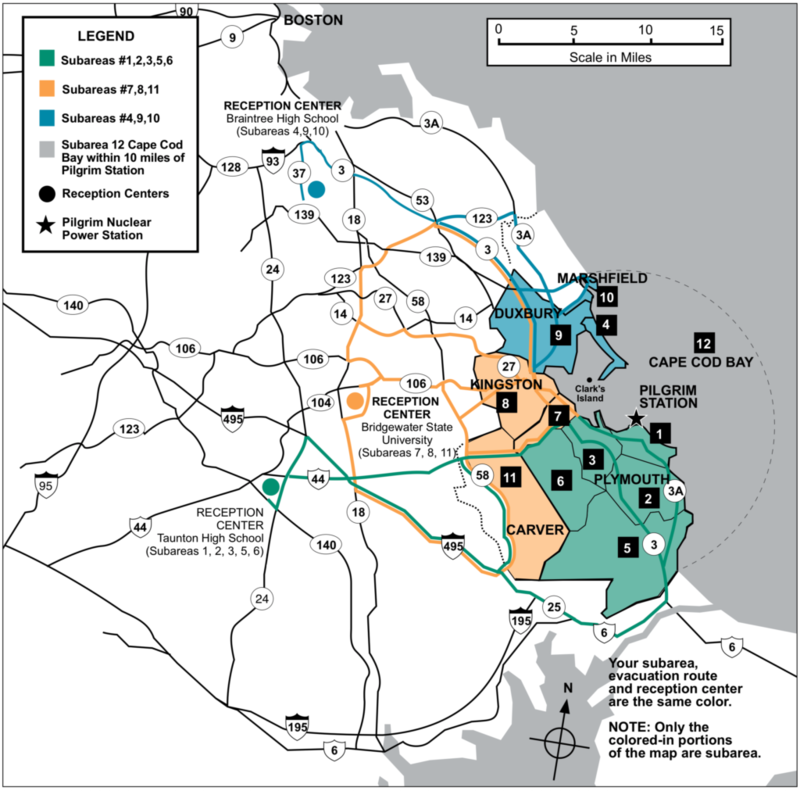 Beliveau appealed this decision to the Plymouth County Superior Court. On Nov. 13, 2018, Beliveau and the ZBA filed a joint motion in Superior Court requesting that the court remand the matter back to the ZBA for further consideration. Judge Moriarty agreed to allow the motion, and a new hearing was held. The ZBA voted 3-0 at the new hearing to reaffirm Karling’s May 4, 2017, cease and desist order regarding the use of the property although Beliveau may keep more than three but less than 10 commercial vehicles on the property in accordance with the terms of a special permit granted by the board. Beliveau is also allowed specific forestry related equipment provided it is not visible from any roads or abutting properties (it must be stored in or behind a “long metal structure” on the property) and may replace it with comparable equipment over time so long as the amount of equipment does not increase. The Express was not able to reach Beliveau for comment as of press time. 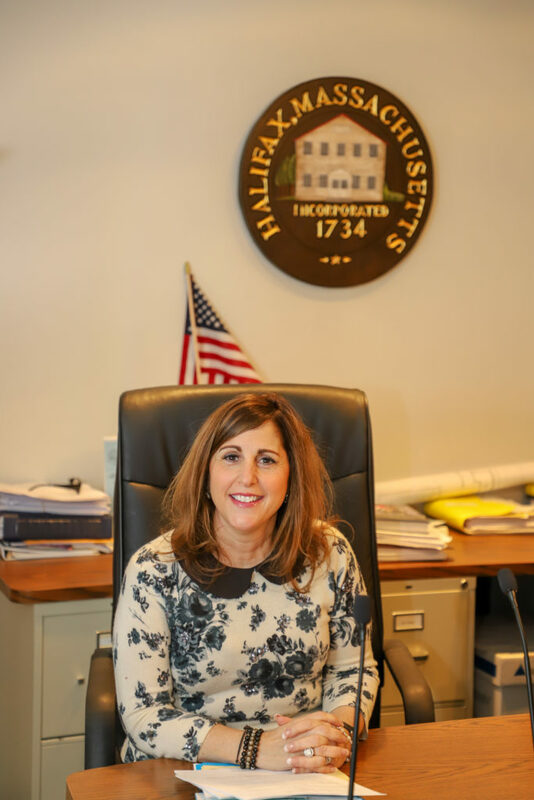 HALIFAX — The Halifax Board of Selectmen met Tuesday, Jan. 8, and tackled a lengthy agenda and five appointments in just under two hours. The agenda was wide-ranging, but the lengthiest item involved horse shows at Fieldstone Farm. Scott Clawson, proprietor of Fieldstone Farm, through his Stoneham-based attorney Phil Taylor, was before the board asking for two additional horse shows in June at his equestrian show park on Plymouth Street, and one additional show in August, for a total of three additional shows to the allowable 30. The number of shows Clawson is allowed to hold is governed by a consent agreement signed between the Town of Halifax through the Board of Selectmen and Clawson, first agreed to by the town, Clawson and the Plymouth County Superior Court in 1993, and then updated after an exhaustive series of meetings with the board prior to August 2017, when a new agreement was signed into force. The board, especially Kim Roy and Tom Millias, were vocally frustrated with Clawson and the board refused to, for now, allow any additional shows without talking to Halifax Town Counsel. The answer, according to Taylor, is that they do not, although they can at their discretion without reopening the consent agreement. That interpretation was not shared by the board. Roy and Millias hammered the attorney because of an ongoing issue Clawson had with the building department, where he was constructing a two-story gazebo, something that the building department was not made aware of in original plans, according to Roy and Millias. The building department, said Roy, would send correspondence to Clawson, but he did not communicate back with the town to resolve the issue in a timely manner. A solution was eventually found, according to Millias, in which the gazebo is to be used for non-commercial use and is one-story, but only after the town spent considerable effort to attempt to get Clawson to comply with the building department. Although the issue was separate from the question of adding additional shows, the board in its entirety was visibly annoyed. Selectman Troy Garron noted that Clawson did not appear to have respect for the authority of the town’s boards, but especially the selectmen. Millias, who happens to be the Plympton Building Inspector, noted that ultimately responsibility lies with the property owner when the attorney blamed a contractor for the gazebo issue. Roy said she did not want to punish a business in town but did not want to reward bad-behavior. The board will take up the issue again at their next meeting, Jan. 22, 2019. The board approved $10,000 for Highway Surveyor and Cemetery Superintendent Steve Hayward to begin a test run of a “cremation wall” in the Halifax Central Cemetery. The wall, which works somewhat like a post office box, allows family members of the deceased to receive a key to the box where remains are kept as a memento. Hayward said the money for the wall would come from the “Lots and Graves” account, and that the wall could be built in sections, modularly, as land is cleared and usage is gauged. Town Administrator Charlie Seelig said that cremation is becoming more and more popular as traditional burials are much more expensive. AFSCME Council 93 Local 1700, the union representing a highway worker who had filed a previous grievance against Highway Surveyor Steve Hayward, has filed a new grievance against the town on Jan. 2. 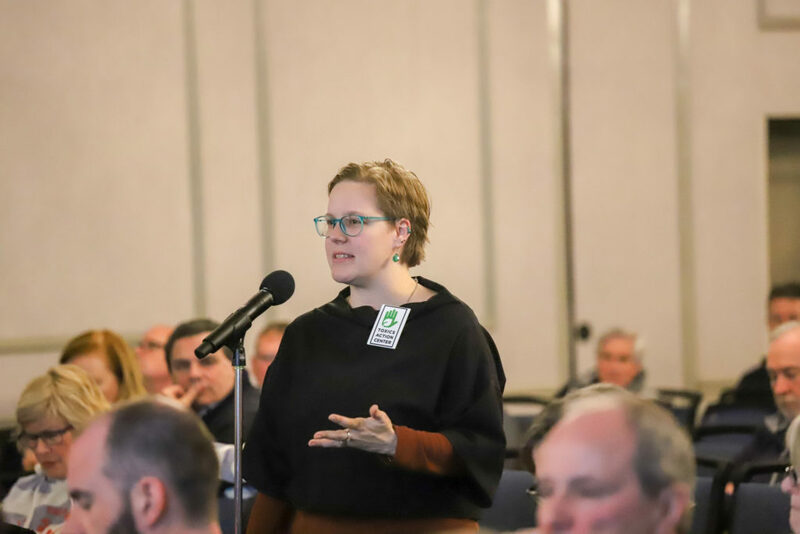 The original grievance regarded a worker being denied a heavy equipment operator (HEO) position– a decision that the Board of Selectmen upheld in a Dec. 21, 2018 executive session. 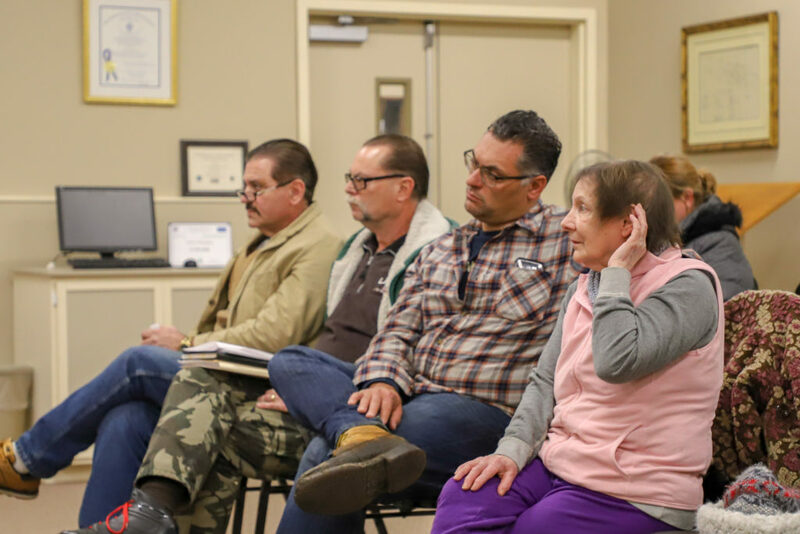 The recent grievance alleges that the town should not have released information to the public following the December executive session. Information released to the Express regarding the employee did not paint the worker in a positive light. 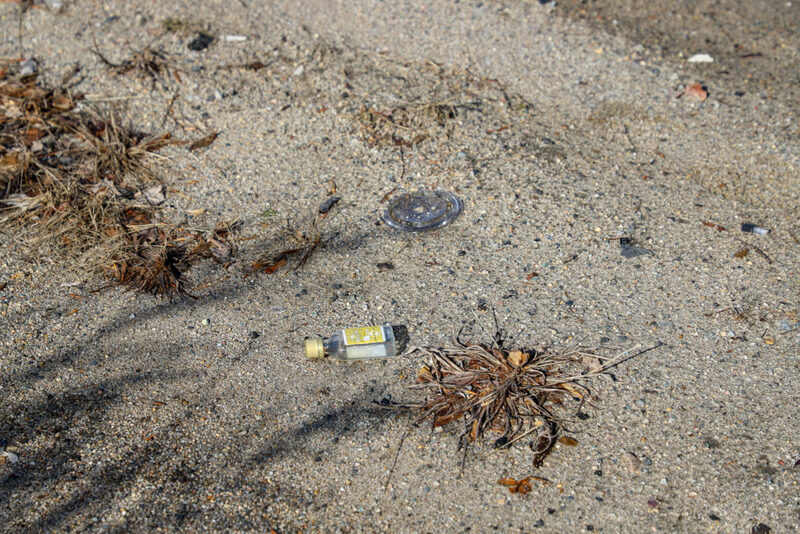 The December meeting was reported by the Express and the new complaint will be heard by the Massachusetts Department of Labor Relations. The information regarding the latest grievance was obtained through a verbal public records request by the Express. • The board scheduled a Special Town Meeting for Monday, Feb. 25, at 7:30 p.m. at the Halifax Elementary School to address funding for that school’s fire suppression system construction project. More information will follow. • Police Officer Thomas Hall will retire in February after 21 years with the Halifax Police Department. The board regretfully accepted his resignation and wished Hall luck with his future endeavors. • The Board of Selectmen will next meet Jan. 22, 2019, at 7:30 p.m. in the Selectmen’s Meeting Room of Halifax Town Hall. Are two cars too many? 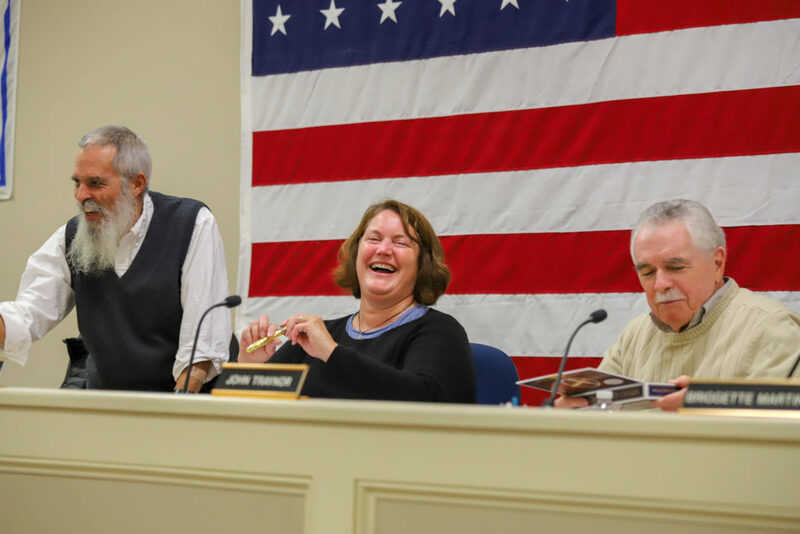 PLYMPTON — Selectman Chairman John Traynor said he thinks that the town is operating too many vehicles and Town Administrator Elizabeth Dennehy disagreed. 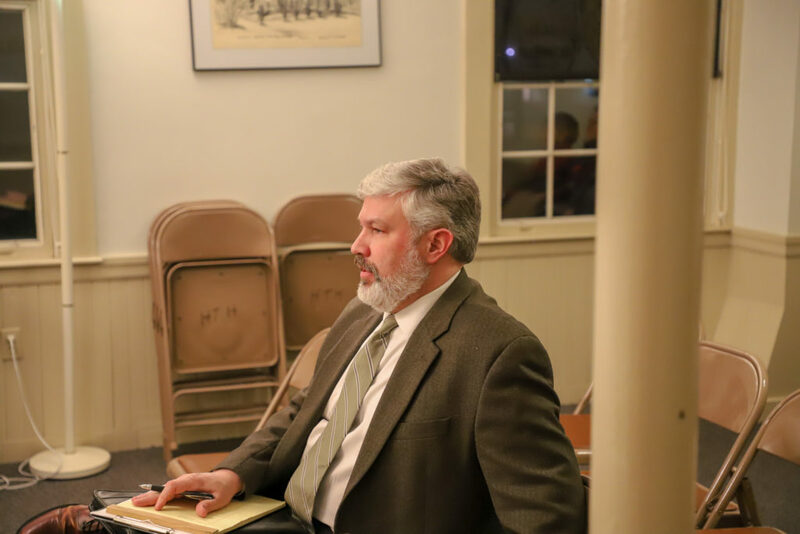 The at times tense discussion came up at the Monday, Jan. 7, Plympton Board of Selectmen’s meeting. Two vehicles operated by the town, a 2011 Ford Taurus and a 2012 SUV, shared between the Town Administrator, Assessors and even at times the Police and Fire Departments are getting older and have significant number of miles on them, said Dennehy. “I don’t see the need for the Taurus … two cars to repair, register, insure, it doesn’t make sense to me,” said Traynor. At the times when there are competing needs for a vehicle, Traynor suggested employees put in for mileage on personal vehicles, a solution that Dennehy didn’t find tenable. Traynor insisted that he sees the vehicles remain parked in front of the Town House, while Dennehy argued that they are in heavy use. Dennehy explained that she did not believe that selling a vehicle, possibly the older Ford Taurus, would create much savings for the town, either through insurance because of the way rates are set for the town, or because the procurement process would take up so much time and the older vehicles would have such little value. “So if we deleted that from our insurance policy the insurance policy wouldn’t go down one iota?” asked Traynor. The answer from Dennehy was no. “So that’s where you and I have a difference of opinion,” said Dennehy. She added that all things considered, the town might get a few hundred dollars for working vehicles that are being used by the town. “I don’t think that two vehicles are too many for a town the size of Plympton,” said Dennehy. The board, despite their best efforts to move the process along for Russell Keirstead, of Crescent Street, could not accommodate a Friday closing date on a parcel of his Chapter 61A property that he is attempting to sell as a 1.5-acre buildable lot. The town has the right of first refusal on the property because in order to be sold it must come out of the tax-saving state program. Keirstead said he thought this would be a “three-minute” process before the board, but because of a strict protocol set up by the board for “chapter property,” a public hearing has to be advertised and scheduled so that the public has an opportunity to comment on the land sale. The hearing was set for the next Selectmen’s meeting, Jan. 28. Keirstead was visibly disappointed that his deadlines would not be met, although he said he was eager to take whatever steps were necessary to properly sell the lot. The board began to discuss their requests for the upcoming FY’20 budget, and Dennehy noted that the Finance Committee was asking boards and departments to estimate their budgetary needs very accurately, and not allow excess for unexpected items. She said that the FinCom would rather deal with unexpected extras that come up on a case by case basis via the transfer request process. Selectmen are asking for a legal budget of over $10,000 more than last year, citing ongoing litigation the town is engaged in, including at least one case in federal court where a Marshfield cellphone infrastructure company is suing the Zoning Board of Appeals for refusing them variances to build a cellphone tower on a parcel that is not zoned for the purpose. • Scott Varley was appointed Wiring Inspector to replace the late Robert Karling. • The board will next meet Monday, Jan. 28, 2019, at 6 p.m. in the Large Meeting Room of Town House. 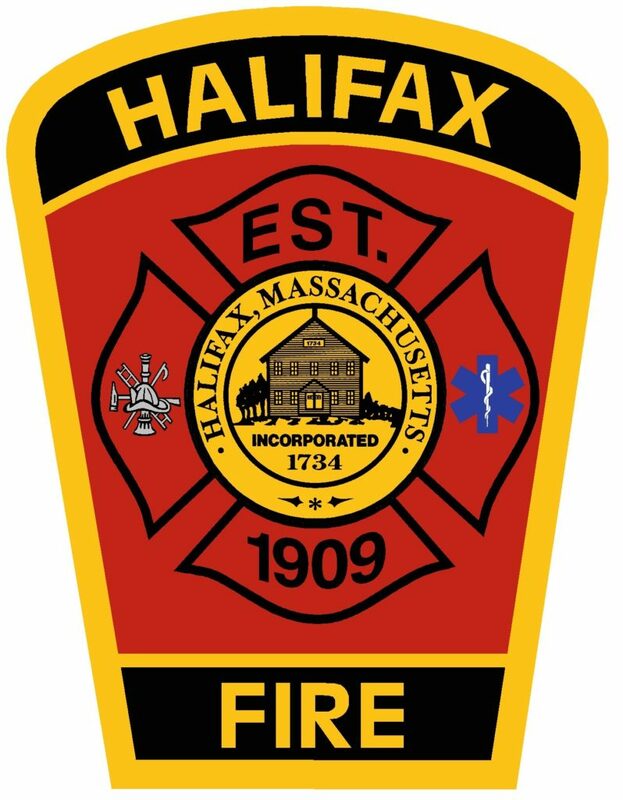 HALIFAX — On Monday, Dec. 31, Halifax Fire Chief Jason Viveiros announced two grants that the department had received from the Massachusetts Department of Fire Services. The first, for $3,754, is a 2018 Student Awareness for Fire Education– or S.A.F.E.– grant that will be used to conduct fire education programs for school-aged children. The second, for $2,400, is a senior S.A.F.E. grant to conduct fire education programs for seniors, and also to purchase fire prevention items for the Halifax senior population. According to Chief Stephen Silva of the Plympton Fire Department, they have applied for the same grant, as well, and are expecting to receive an award from DFS soon, although they have not received a decision letter yet. A spokesman for DFS said the grant is non-competitive. Chief Viveiros recognized Captain Matthew Cunningham and Captain Jeffrey Cuozzo for their work in obtaining the grant funds.